Why Testers Should Watch ’Black Mirror’? Part of my job description is to interview potential candidates for Sogeti Finland. In those interviews, I have one particular question that I tend to always ask. In it, I draw a picture that has quite a few different components that are integrated to each other. One is a central CRM, one is an API for a bank, one is a legacy system that connects to an external system and so on. Then I simply ask the candidate to think of ideas to break the system. If my job as a test consultant has taught me anything, it’s that things tend to break at their integrations. The message is not sent correctly, it doesn’t transfer everything it should, it might get lost on the way. The purpose of this question is to find out what happens when you take different systems that might work very well on their own and then attach them to each other. Something terrible might happen. The current Netflix series (previously Channel 4) Black Mirror pretty much does the same. The series writer/creator Charlie Brooker takes a couple of different technological advances and mixes them up with human psyche: I know that something is supposed to work like this but what if the variables are too complex for us to see beforehand that something terrible is about to happen? 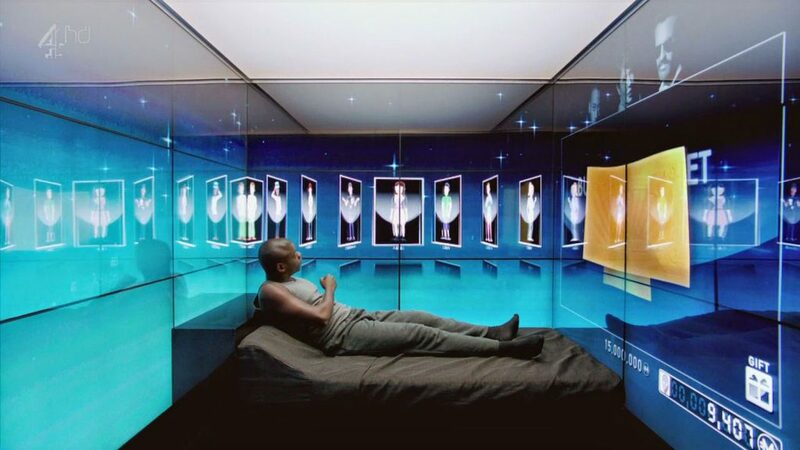 Mind you, Black Mirror is not for everyone. Its world is pessimistic and bleak and usually when the end credits run the viewer sits in silence, pondering what it is they actually just saw and whether they really wanted to see it in the first place.But if you are working in any position that is in any way connected to cyber security, you should think about watching the show. The show paints a picture or a ‘what if’ scenario in the worst case that could happen when integrating different systems together. One could argue that the show is paranoid or sometimes even ham-fisted in its Aesops. While at some points this is true it does also expand the possibilities in thinking. One could wonder whether there are unsafe connections between tech and people that are not considered yet. After all, most exploitations of the systems are done by thinking of a new way to view the entire infrastructure and using something that we didn’t think of as dangerous. To understand the risks we must be able to really think outside the box. The show is an anthology with all episodes having different characters so there is really no “correct” order to watch the episodes as of yet – although the season finales do tend to have a little background joke now and then referencing the previous episodes. If I had to choose an episode to show for the first-timer what Black Mirror is really about, I’d probably choose White Bear (Season 2, episode 2). If you can stomach that, then there is a grand and dystopic and ultimately very entertaining journey ahead of you. You might also get _that_ much more afraid of everything around you. You have been warned.